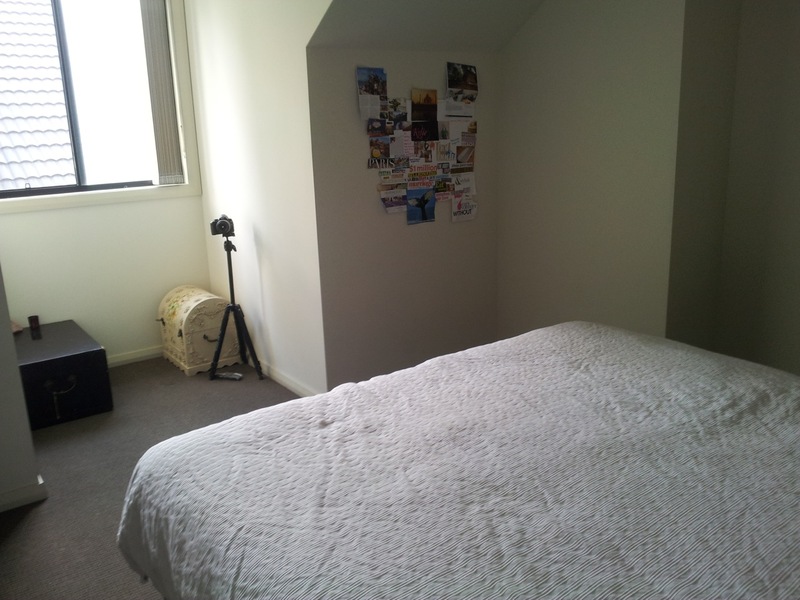 I was asked to send a photo of my room for a potential magazine story. We'll see if they pic it, probably not! It's about your bedroom. 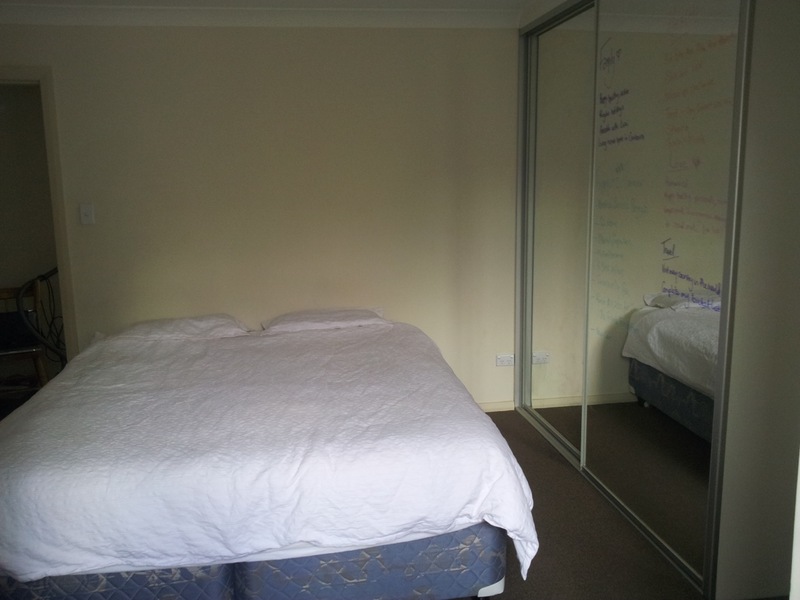 I took the pics and then had to describe my bedroom style. This is one shot of my room, from the door way. 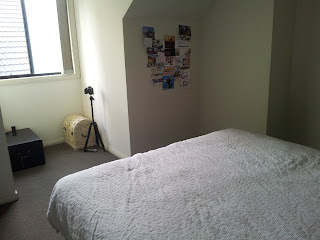 I have plain white sheets, plain white bedding and no extra pillows/throw rugs or anything. I have what I need, which is 2 pillows, blanket and sheets. It's is clean, simple and minimalistic. The cover has a raised line effect, but other than that is pretty plain. On my walls I only have my vision board which is on the wall facing my door, so I see it as soon as I get to my bedroom. Under the window I have a chest of things, with a candle and my rose quartz on it. Opposite the oriental chest is another chest I was given with my name painted on it and my camera. On my mirrored robes, well one of the doors, I have written all my goals for each section of my life. My room is very plain, but I like it. It is a place I can relax in, focus on my goals, get motivation if I need and work without distraction. 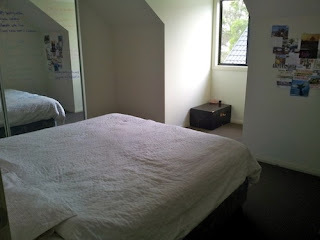 I described my room as minimalistic, ambitious and simple. That's the style I wanted for my room. It doesn't show a clear personality for me, it is not overpoweringly mine and it is very adaptable. If I want colour I can add sheets and cushions. But I like it as it is. What does your room say about you? What do you think of my room?